If you've been playing Guild Wars 2 over the past few weeks you'll know the dramatic effect the recent changes to the world event chest drop tables have had on the community. For a lot of people, the entire game has become about hopping from event to event, on multiple characters and across multiple servers (via guesting). Seeing as you now get at least a rare, if not several or an exotic or two from each chest (and then there's the rest of the loot from mobs, the event rewards and the other chest drops too) it is incredibly lucrative. On the plus side this has pushed ectoplasm prices down to a more manageable level, on the down side these events are now completely gridlocked and lagging like a motherflipper. ArenaNet's fix is to separate the guaranteed rare drop from the rest of the chest loot into a daily chest style reward which can only be gained once per account per day. You'll still get the event chest, it just will no longer guarantee you a rare item. ArenaNet are yet to confirm whether this event chest still has the chance of dropping rares - much like the event chest used to do. What this means for the current situation is that it will effectively make hopping from server to server to maximise your reward across several characters less profitable, and not worth the effort without the incentive of a guaranteed rare item. This, in turn, should ease some of the lag and overflow problems players have been having. Yes, in the short term the prices of ectoplasm has skyrocketed again and precursor weapons have once again risen another notch out of reach, but there are other ways to bring the prices back down - and hopefully this will mean that instead of grinding Shatterer, Tequatl, Frostmaw and The Shadow Behemoth, players might start to spread out to the other world events like the Temples in Orr. The rune of the Guardian (with all 5 runes attached) would result in a total 165 Toughness, 50 Healing Power and 1 second of burning on my enemy when I block an attack. An interesting offer, but I'd lose a lot of the power which I have enjoyed even by using my Pirate's runes (which focus power and MF) and whilst I don't plan on focusing on DPS, it is nice to be able to contribute. The rune of Mercy focuses on giving advantages to aiding downed players - but if I'm having to spend all my time resurrecting people, perhaps I'm not doing my job properly? There's a number of healing power focused runes on the market, each of which result in a 165 healing power boost in total, with a number of minor effects (boon duration, gaining various boons when you're hit, summoning birds etc). On the face of it, these would look like the most attractive options, but again they don't really jump out at me - I can spam boons so fast that a longer duration isn't particularly attractive (except, perhaps for swiftness in WvW), similarly, with all the boons flying around, what use is one more when taking a hit? Finally, who wants to summon a pesky bird which will just stay in combat when you want to fall back etc? No, no thanks, I'll pass. So, I've been looking at the severely under-utilised crests. All crests follow the same schema in terms of dealing out stat points (bar Magic Find): +20 for the main stat, +14 for two minor stats. As a guardian, I'm not hugely interested in Condition damage, so I'll exclude Rabid straight away. I'll also eliminate Traveler as I'm moving away from Magic Find. So, when you slot Crests over Runes you sacrifice +65 on your main stat and the various secondary effects, and instead you get the 2x +70 on the minor stats. Seeing as there aren't really any of the secondary effects which jump out of me - currently going for a crest set-up is looking quite attractive. Does anyone actually use these things? They're a pittance on the trading post. Once I've finished my legendary weapon and bought T3 human cultural armour, I'll be completely skint and I'll probably only be able to afford the crests - which, looking at the stats above, might not be such a bad idea. I recently reached the milestone of 500 badges of honor - which I traded in for the Gift of Battle (which I subsequently traded in, along with my bloodstone shard, gift of exploration and 250 obsidian shards for my gift of mastery). Now, I've done WvW on and off since the headstart, and it took me this long to generate 400 badges (through a combination of the jumping puzzles, map exploration and random drops from those enemies I actually managed to kill). I managed to grind out my final 100 in just two days. Well, strictly speaking it took about an hour in total. If anyone tells you that doing the jumping puzzles is the best way to get badges, they obviously haven't tried actual coordinated WvW. This lazy legendary guide will tell you the basics of what you should do to get involved in your server's coordinated WvW efforts, how you can be most effective, and ultimately how you could, effectively, gather all your badges within a week. First - a disclaimer: this guide is being written perhaps only days before the March WvW update is introduced. This update is likely to change a lot of the dynamics of WvW, so some of the terminology or advice I give might need to change a little in light of the update. Hopefully, the fundamentals will still apply. Unfortunately, this guide also assumes that you are on a server which is relatively WvW active. I don't mean they have to be hugely successful in terms of winning all their match-ups or being in the top tiers. But having a corpus of dedicated WvW players, hopefully one or two larger WvW focused guilds and a whole load of individual players who like to dash about and pwn face is pretty vital. 2) Follow your commander. I can't stress this enough, even if you have a terrible commander, if you are all communicating and moving with the same thing in mind, then you will be more effective than if you're running as an unruly mob or alone. Then again, if you have a good commander then you can be a lean-mean fighting machine, even with a relatively small and inexperienced fighting force - afterall, an army of sheep led by a lion is better than an army of lions led by a sheep. When I say "follow your commander" I don't just mean hang onto his boot straps, I mean when he says push, you push, when he says hold back, hold back. When he says stop fighting and waypoint back to garrison (even if you think you're winning) then you stop fighting and waypoint back to garrison. 4) Bring speed boosts. Your commander will probably ask you to "stack on me" before they move anywhere, when he's ready to move he'll count down from 3 and on 3 he'll expect all your speed boosts to be popped. Swiftness stacks duration, so you can get 1 minute+ of swiftness with a good group. This makes moving about the map much easier. 5) Learn the lingo. "Right guys, we're going to shave this group" - move around the edge of the group taking out stragglers on the edges. "Push to [destination]" - move into the group and attack, keep moving through to the destination. 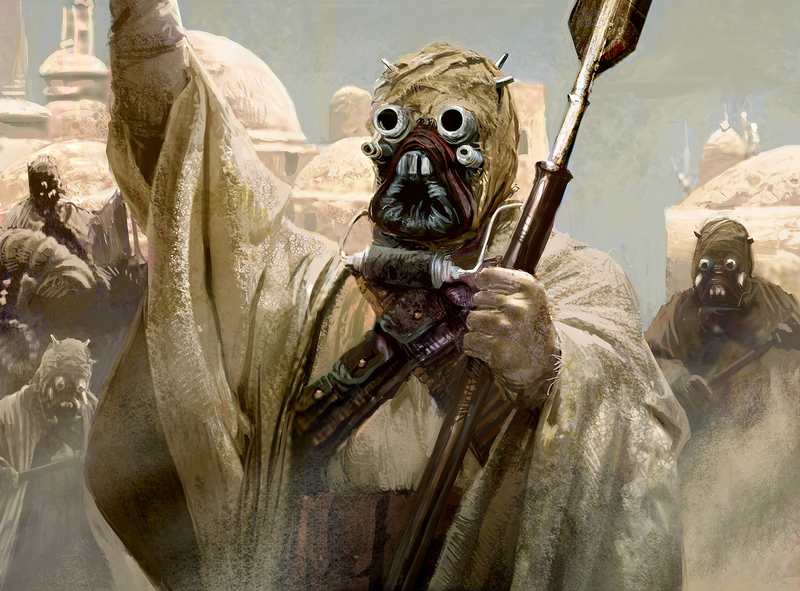 "stack up on me" - move to your commanders location, this helps your commander get a sense of how many people are following, and standing close together helps hide your numbers from your enemies (think the Sand People walking in single file). Your server might even hold training sessions to get you used to following these kind of orders, if your server has a dedicated website - then the notifications will be up there. Ultimately, if your commander does his job well and helps you take down a few large zergs (20+ players) then you should be able to gather 10-15 badges per zerg-kill. Considering you might take down any number of these groups over an hour period, you should be able to rack up 500 badges pretty easily, and without ever having to repeatedly do the Jumping Puzzle.